As we enter 2014 on the cusp of new console releases and the most cutting-edge technology mankind has ever seen, a trend has taken control of the gaming industry that no one could have expected. Many retro-style indie games are, without question, some of the most popular games of the last generation and it seems to be a trend that will continue for the foreseeable future. There is something relaxing, charming, and almost hypnotic about the way a well-made old-school inspired game can make you feel. However, this isn’t an article about a retro-style game or an old-school inspired game; this is the story about a game made in 1993 and released in 2014. Krister Karlsson, from Modesty Creative Agency, is an avid gamer and creative talent. 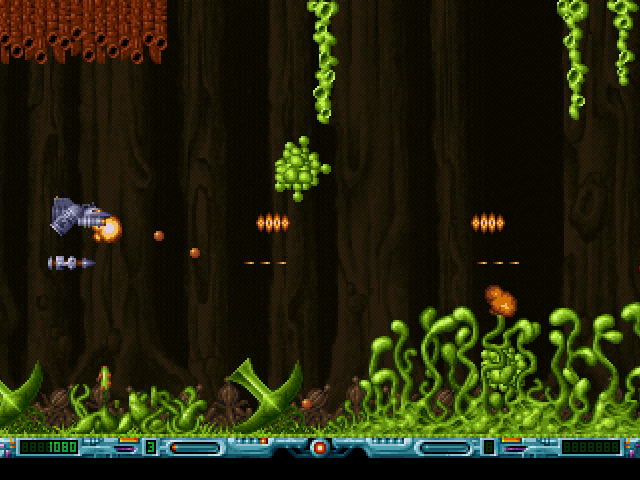 Instead of creating yet another retro-styled game, he has the unique opportunity to bring an unreleased game from the past, forward to the present day with 1993: Space Machine, a side-scrolling shoot ’em up with 100% authentically classic inspirations. “We had been playing these kinds of games for a long time when we were younger. Not only did we like the games themselves, but we liked the worlds. The weirder the better – stuff like creepy vegetation growing around. It was almost like a comic book coming to life on the screen for us back in the early 90s,” Karlsson explains during our Skype call. Karlsson told me about the group of friends that he used to hang out with and all the games they played, but also why 1993: Space Machine never saw the light of day during its own time, “Two of our team members were romantically involved and it did not end well. The project was tied to a lot of emotions and feelings, so once they left the project and we were left without key members of the team, we set it aside and just never really finished it. Eventually, we all moved on and forgot about it.” This was especially frustrating, given the fact that the game was already so close to being finished. All the assets were finished, along with the programming and it was really in the final stages of development. Don’t be fooled however – these weren’t just rough concepts and ideas he came across. 1993: Space Machine was, for all intents and purposes, nearly finished. “The cover art asset is the only thing I made recently, everything else was from 1993 when we originally made it. All of the information was taken directly from those original disks,” Karlsson elaborates. Now, imagine for a second, if you will, what it would have been like to develop a game, with multiple people involved, on hardware from the 90’s. “We didn’t have any type of network features back then; we would just toss floppy disks around to exchange files. No Dropbox like now, we had a wooden Dropbox, the original Dropbox,” he laughed. Thankfully, Karlsson didn’t let that first hiccup back in 1993 slow down his then budding career. “I had the idea that if I did this on my own instead, no one could quit and stop it from happening because it all just relies on me. 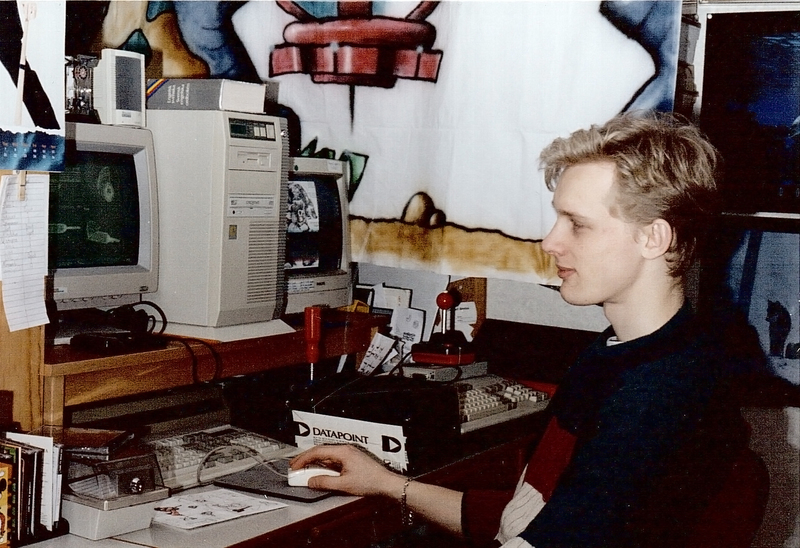 After I made my first animation project, I got a job at an studio here in Stockholm – they’ve worked on Underworld and other international movies. After that, I continued on with more computer graphics, design, illustration, animation and all of the things in that field. I’ve been reading books, taking classes and everything since back then – I’ve never really left that field behind me and continue to be involved with gaming,” Karlsson details. In fact, 1993: Space Machine isn’t even his first game. “I started my own company with a colleague [Modesty] as well and we started to get into mobile app development. We were doing games and assets for casino game developers and eventually built up a network of professionals. In 2013, we actually released our first game – The Spookening – so I eventually came back to games in the end,” Karlsson remarks. Typically, when you hear stories about developers getting burned by their colleagues at some point in time, they give up on that field and wind up doing something else entirely – it’s refreshing to hear a different story. The game is still being finished up so time will tell (a particularly appropriate idiom in this situation) if 1993: Space Machine is as good now as it could have been then, but this is far from the end for Karlsson’s life in gaming. “What makes this game so unique is that it was made in 1993 and released today, so we don’t really have a way to reproduce that fact. It’s like an old wine – impossible to copy. After this, I would think that I would rather move on to a new, different project. I’ve of course got plenty of new ideas that I want to make and they are completely separate and unique in their own ways,” he said. I look forward to seeing more from Karlsson and Modesty, but until then I can’t wait to get a literal blast from the past. 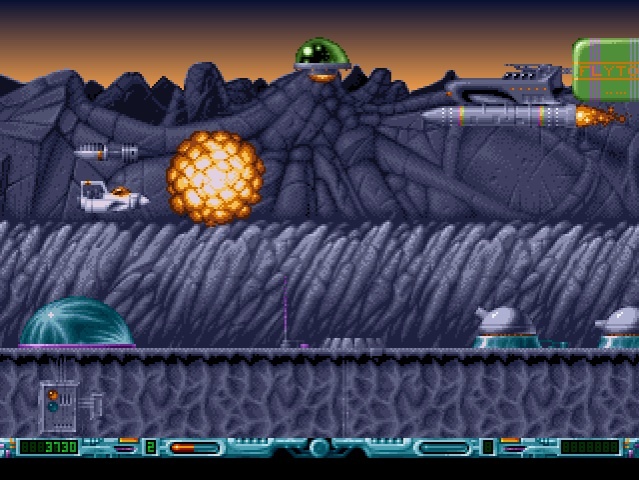 1993: Space Machine is currently running a Steam Greenlight campaign, as well as IndieGoGo. Let us know down in the comments below if you have any other questions for Karlsson or anyone else from Modesty and check back for more details about the game leading up to its release. They are currently targeting a Q2 2014 release for PC, with potential plans for Android/Ouya in the future.